Essen lies in the heart of the Ruhr valley. In 1811, over 200 years ago, Friedrich Krupp established his cast iron factory here. Villa Hügel, formerly the Krupp family home, looks down on the idyllic Lake Baldeney. As one of Germany's main industrial cities with emphasis on the services sector, Essen attracts a large number of business people every year. Choose our limousine service and we will make sure you arrive safely, on time and in style for your business meetings. Our airport service will meet you at the airport, take you to your destination and will bring you back in time for your next flight. If you have a few extra hours between your appointments, book our services on an hourly basis and our chauffeur-guide will be happy to show you the Zollverein Coal Mine, a UNESCO World Heritage Site. If you're looking for comfort, safety and professionalism, then choose TOP-ALLIANCE ground transportation services. We offer both transfers and hourly rates. Select the latter for dedicated chauffeur service. 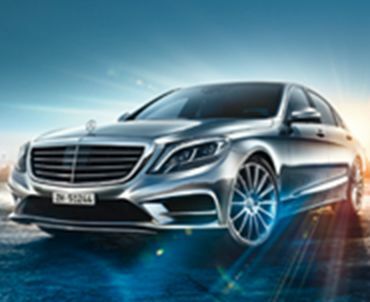 We offer modern business class and elegant first-class models. Our minivans for up to eight people and our buses for larger groups are available for company events or group excursions. Our professional chauffeur service will cater to the wishes of your group. A fleet of late-model vehicles awaits you. Our friendly, experienced service team is available via email or phone around the clock. Need to book on short notice? No problem. We can book transfers from A to B, arrange airport services and hourly hires for you, quickly and efficiently. We accept credit cards, bank transfers, or we can invoice you. Our service team is available for any questions you have and will happy to put an offer together that is tailored to your wishes. TOP-ALLIANCE – Gets you around town on time and in style. Services in the listed cities are provided by TOP-ALLIANCE and/or our partners.